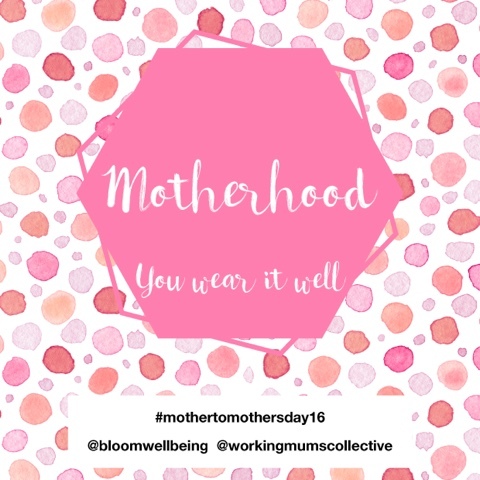 My friend Sarah Poppy from Working Mums Collective together with Sarah from Bloom Wellbeing have teamed up this Mother's Day launching the #mothertomothersday16 initiative encouraging mothers to lift those around them with special social media shout outs and recognition. Sometimes, no one really quite gets it except your mummy friends. Something so simple could make the difference in another mummy's day. 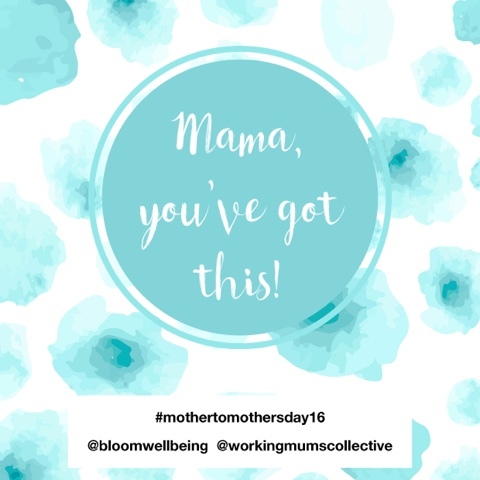 Telling a mama "you've got this" might be all they need to hear to get through a tough day, or a tough phase. We all have those 'mum crushes' we stalk - I mean follow - on Instagram. Let them know and share the love with this beautiful graphic. Do you know a mummy friend who somehow always looks fantastic! It doesn't have to mean make up, straightened hair or Mimco accessories, maybe it's just her smile, the way she pushes the pram or cuddles her kids at a coffee shop. 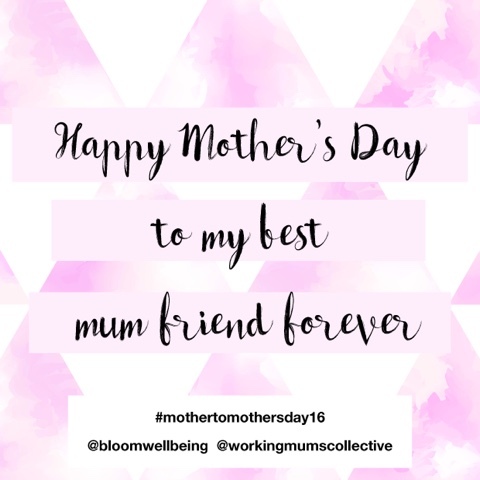 Sarah from Bloom Wellbeing was kind enough to answer a couple of questions for me to add a little mini interview to today's blog post. She is such a delightful positive person (who I had the pleasure of meeting at my first Adelaide insta-meet up). Sarah is an Occupational Therapist and Pilates instructor specialising in pregnancy and post-natal care. 1. Can you please give us a brief introduction to Bloom Wellbeing and where can Adelaide mummies find you? 2. How old are your girls and what's your favourite Adelaide location to take them too? My girls are Ella, 5 and Maisie, 3. We love the beach - Semaphore and Largs. We can regularly be found traipsing up Semaphore Road to the playground or the beach. We love Semaphore too! Here's one of my previous posts. 3. 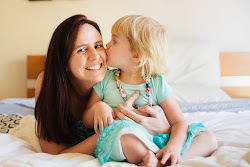 Where in Adelaide do you go for kid-free mummy alone time? The beach again - it's definitely my happy place, I love to go for a walk, jog or ride along the esplanade, or just sit and meditate or be mindful for a few minutes, or I'll pop down to Infinity to take a pilates class with another instructor. 4. Finally, what was your motivation for launching the Mother to Mother's Day campaign? 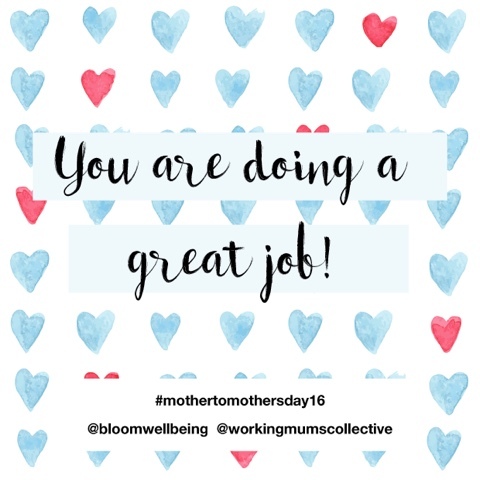 Sometimes on social media there seems to be so much focus on the negative interactions between mothers - the "Mummy Wars", but Sarah and I know that the vast majority of mothers are wonderfully supportive of each other, it's just that the bad stuff spreads like wildfire - especially across social media. 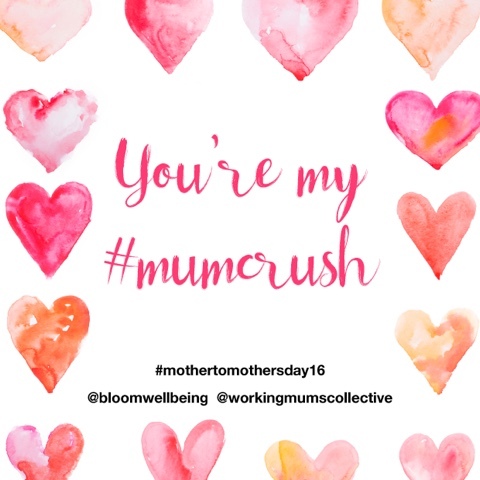 We just wanted to provide a really tangible and simple way for women across the country to share their admiration and appreciation for other mothers. Just one more way we can brighten another mother's day, even if only in some small way. I would like to be told this EVERY DAY! I think it's important that we say it to ourselves as well. media with positive vibes and shout outs to our mummy friends!